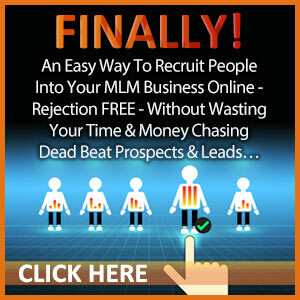 Struggling in your network marketing business? Look at your daily activity to learn why. I’ve had lots of questions about this lately – people asking why this top leader has so much success and they don’t! My first question to network marketers is how many people did you talk to last week or yesterday? The answer is usually a couple, one or I am not sure. Well if you are not sure or you only talked to a couple of people, there is your problem. 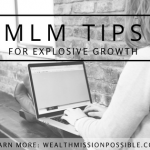 Let’s look at your network marketing daily activity so you can launch yourself to success! The reason top producers have so much success in network marketing is because they have a routine. They do it every day, whether they want to or not. 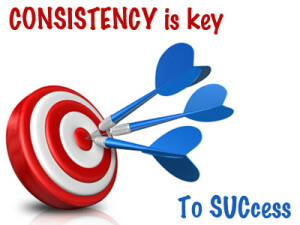 The most important thing for your daily routine in MLM is taking consistent action. You daily routine will help you be consistent. If you are serious about having success in your network marketing business, what are you willing to do about it? Let’s take a look at some numbers. These numbers are an estimate from Network Marketing Pro expert Eric Worre. To accomplish this in a month, here are the numbers. You need to make 100 presentations to sponsor 20 people. Make 125 appointments to get your presentation in front of 100 people (25 no shows). 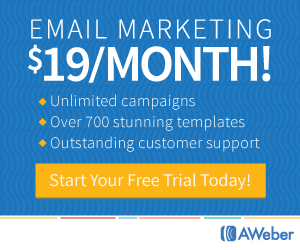 Make 300 calls to get 125 people to agree to view your presentation. Find and talk to 10 people a day. Are you talking to enough people every day to reach your business goal? Are you tracking your activity? How many people agreed to view your presentation and how many did you follow up with? You may thing these daily activities are not important. Heck, I provided a great daily activity tracking sheet to my team but hardly anyone uses it. 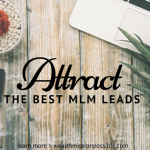 It’s no surprise that people don’t succeed in this MLM profession. Most are simple not willing to do the activities that are required to succeed, but they are the first ones to whine about not having success. If you are serious about seeing real results in your network marketing business, figure out how many people you need to talk to daily. Then do it! Track your activity. Here’s the thing: you can’t control what other people do, but you can control what you do! And that is your daily activity. 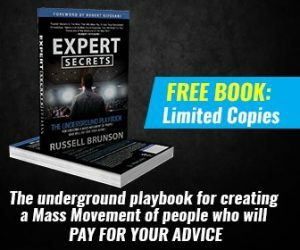 CLICK HERE to learn the productivity secrets for network marketing success. Hi Daniel! Find more people to invite. Maybe look at your approach and see how you can improve it. I recommend the book: Go Pro by Eric Worre. Hi Daniel, If people are not showing up for your meetings that means that you have not mastered the skill of inviting. That is where you should focus your energy. All the best.